Along with a remarkable climate, Santa Barbara is renowned for the natural beauty of its mountains, beaches, and lush landscapes. Featuring luxurious real estate Montecito, the area has the warmth and relaxation of a small town, yet the major attractions of a metropolis. With distinct Mediterranean influences, the architecture of Santa Barbara is a testament to the area's history and culture. The combination of a thriving economy and a healthy and friendly community makes this gem on California's Central Coast one of the finest places on earth. We are committed to representing the finest luxury real estate homes, beachfront estates, and land parcels in Santa Barbara & Montecito today, and for years to come. Those fortunate enough to make Santa Barbara home find everything about the city and its surroundings optimal. 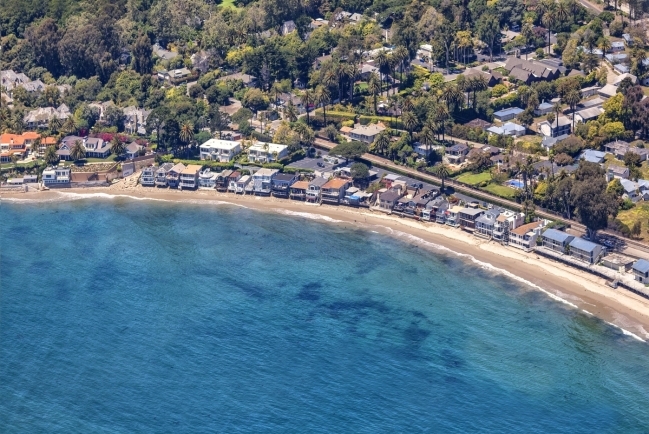 Located mere moments from downtown Santa Barbara, Montecito is one of California’s most esteemed coastal neighborhoods. The unincorporated neighborhood of Hope Ranch occupies the rolling knolls just west of Santa Barbara City limits and adjacent to the ocean. One of the oldest and most distinguished neighborhoods of Santa Barbara, The Riviera is the trademark hillside peeking over the city. Close in proximity to restaurants, shopping, and hiking, while still retaining a feeling of seclusion, the Upper East is one of Santa Barbara’s most prestigious neighborhoods. As a fellow small business, we want to take the opportunity and highlight the other wonderful, hard-working, small businesses that are local to Santa Barbara. So every Thursday we will be spotlighting a new local business on our handle. And if you would like to nominate someone, please let us know. Experience, professionalism, and passion have all contributed to our standing in the top ½ % of Berkshire Hathaway agents nationwide. Connect with us today to begin viewing exclusive listings of the finest residences in the area. Whatever your needs, rely on our expertise and of the resources of Berkshire Hathaway to ensure you get the most out of your home investment. Marsha Kotlyar and a team of dedicated Santa Barbara and Montecito luxury real estate agents are here for you. Please explore the website to learn more about the area, our company's top quality services. We look forward to hearing from you and helping you secure your dream home. Call (805) 565-4014 for a complimentary consultation.